A big part of planning the perfect RV getaway is finding the perfect campground to stay in. That said, with so many RV campgrounds to choose from, it can be difficult to decide which one is right for you. This is especially true when you can’t see the campground before booking. 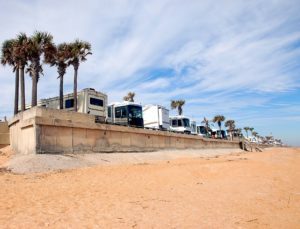 Fortunately, there are ways to narrow down your choices and ensure you book the ideal trailer camping, with the amenities you need and at a price that suits your budget. 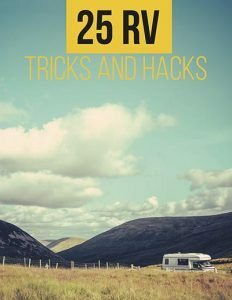 Try these tips and tricks when planning your next RV vacation and you’ll be well on your way to top-notch accommodations for you and your rig. The first thing you’ll want to decide is what kinds of amenities you’ll need and which ones you can live without. Below is a list of some of the amenities campers tend to be in search of. Once you know which amenities you want to have at your campground, you can check out campground websites and review to find the ones that best fit the bill. For many, one of the benefits of vacationing in an RV is the fact that it’s easy on the wallet. For this reason, many people are in search of a budget-friendly campground. It is important to note that most inexpensive campgrounds options will have fewer of the amenities listed above. However, if you’re okay with this fact, you should be able to find a decent place to stay without spending a fortune. 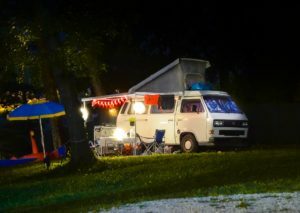 To find RV campgrounds that fit your budget, try the following. State parks are almost always affordable. While they won’t have tons of amenities, they do tend to be well kept, and almost always offer some beautiful natural sites. Camping clubs such as Good Sam Club and Passport America offer members discounts on a number of private campgrounds around the country. These are great options for the weekender looking for small savings. Other great camping club options include Boondockers Welcome and Harvest Hosts, both which give you access to a huge number of campsites on private property. Finally, there is the option of membership camping. Camping memberships offered by such companies as Thousand Trails and Coast to Coast are a big investment, but if you camp often they can pay for themselves relatively quickly. Finding nearby campgrounds — whether you are looking close to home or close to a specific destination — tends to be a big priority. In fact, when you have a specific area in mind location of a campground will likely be the first thing you look at. To find an RV park near home, you could simply do an internet search for “RV parks near me” or RV camping near me”. If you’re looking elsewhere in the country, an internet search would still probably be helpful. That said, depending on where you wish to camp, searching the internet can bring up an overwhelming number of results. In these cases, you may want to try the directories of any camping clubs you may be a member of. We also like Campedium for narrowing a search based on certain criteria.